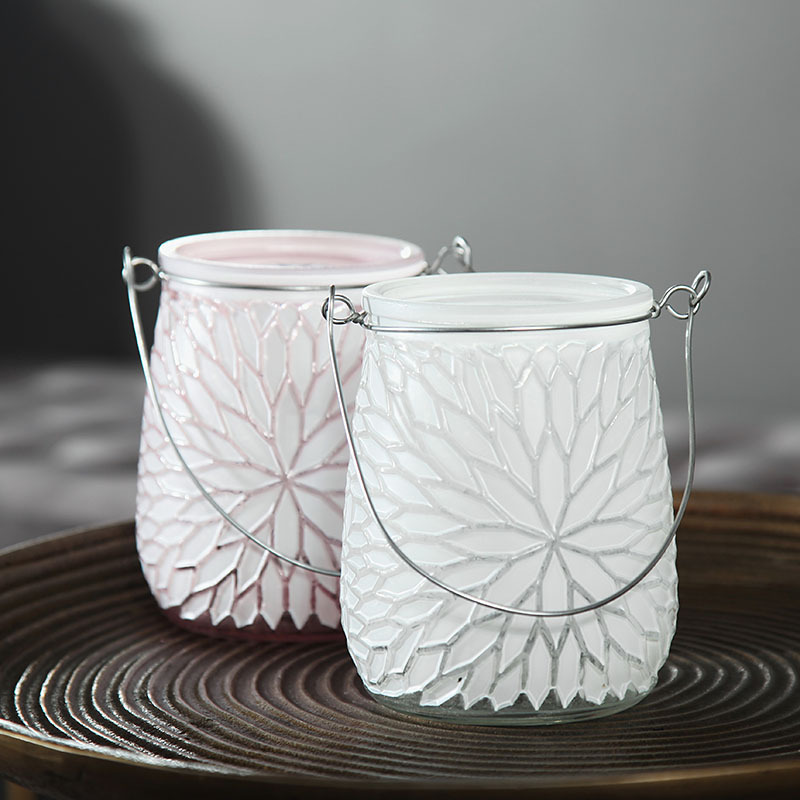 Add a warming candlelit glow to your decor with this pair of glass jar candle holders. Beautiful vintage design that is perfect for adding a decorative touch to your home or ideal for use at weddings. Prettily decorated with a frosted covering in colours of pink and white. 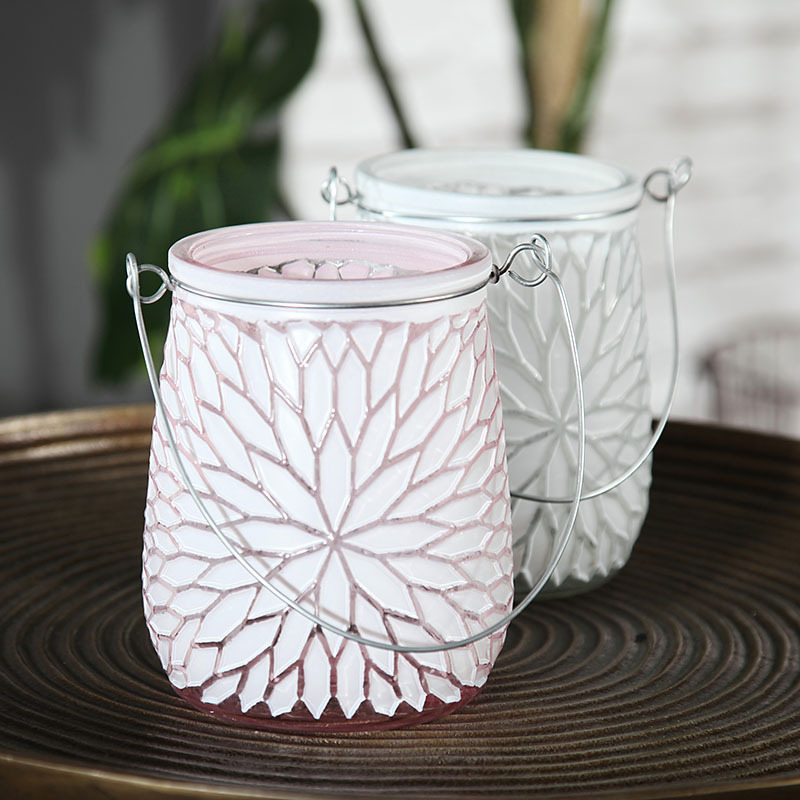 Each jar will hold a large pillar candle or tealights for a subtle candle glow. Place on a shelf, table or windowsill or hang from the metal handle. These jars don't just have to be used for holding candles, they would also make quirky and unusual vases for a stunning display. 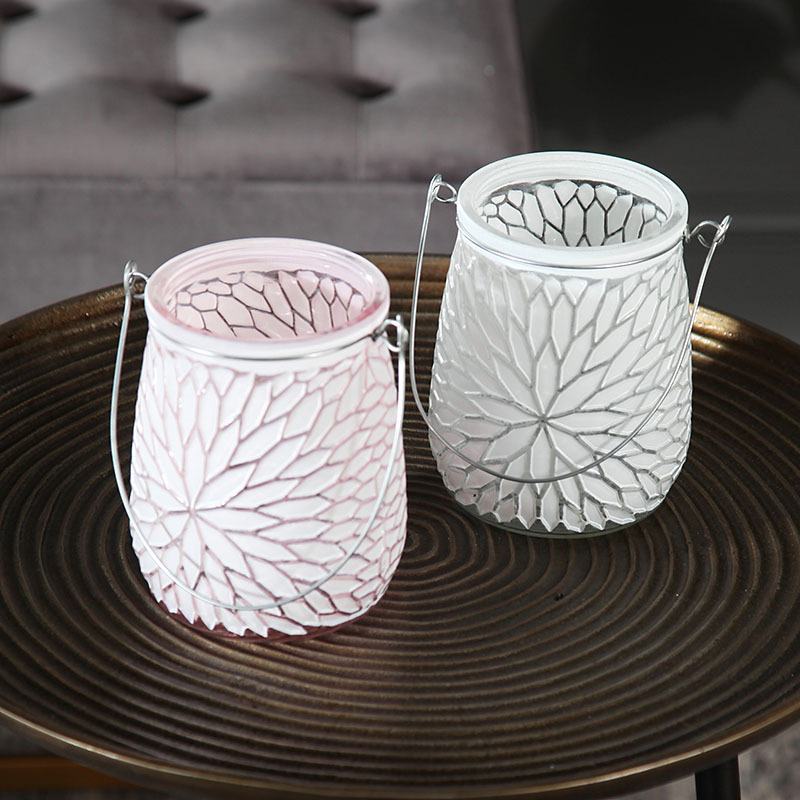 Add a warming candlelit glow to your decor with this pair of glass jar candle holders. Beautiful vintage design that is perfect for adding a decorative touch to your home or ideal for use at weddings. Prettily decorated with a frosted covering in colours of pink and white. Each jar will hold a large pillar candle or tealights for a subtle candle glow. Place on a shelf, table or windowsill or hang from the metal handle. These jars don't just have to be used for holding candles, they would also make quirky and unusual vases for a stunning display. 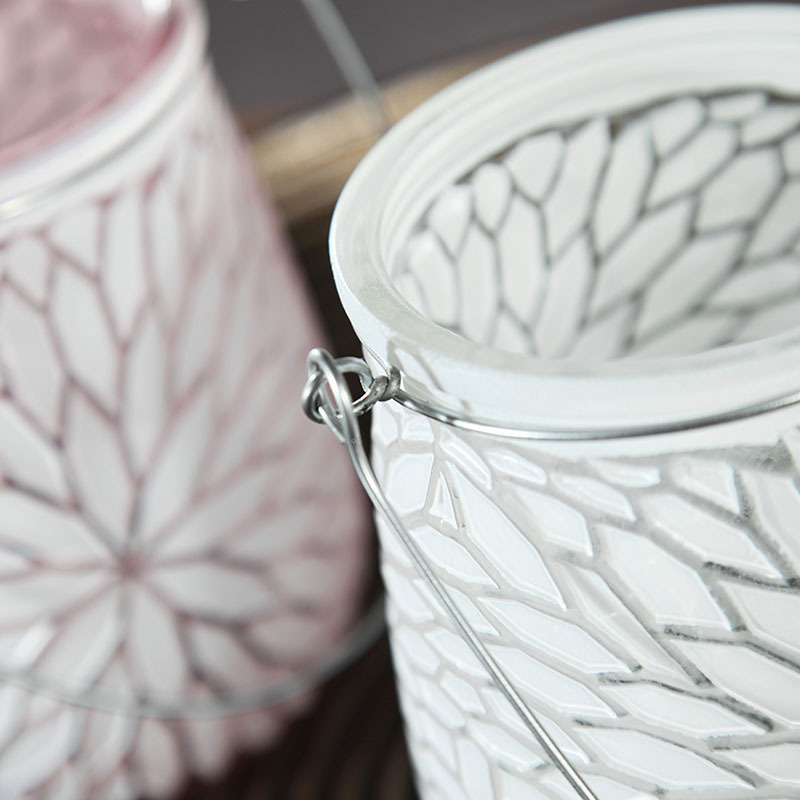 Each pot is made from glass with frosted coating in colours of pink and white. Each jar has a silver metal handle that can be used for holding or holding the jar. Accessorise your home in style with our wonderful selection of candle holders, candelabra and tealight holders in a great choice of styles.